Amazon recently decreased the prices of its Echo smart speakers when Google launched it’s Google Home smart speakers in India. Now, Amazon has further expanded the Echo devices portfolio in India by releasing the Amazon Echo Spot smart speaker with a screen on the front which is a touchscreen display to show time and other important stuff from the internet. The Amazon Echo Spot comes with the same features as all other Amazon Echo smart speakers and devices. It comes with a 3.5 mm stereo speaker driver which is a slightly better driver than the Amazon Echo Dot speaker which is the smallest device in Echo smart speaker series. The Amazon Eco Spot is smaller than the Amazon Echo, it is a half-spherical device with a flat surface with the screen on the front. The speaker is facing straight down to create a surround sound experience. It comes with volume controls on the top with a mute mic option so it won’t get triggered every time you say “Alexa” hotword. 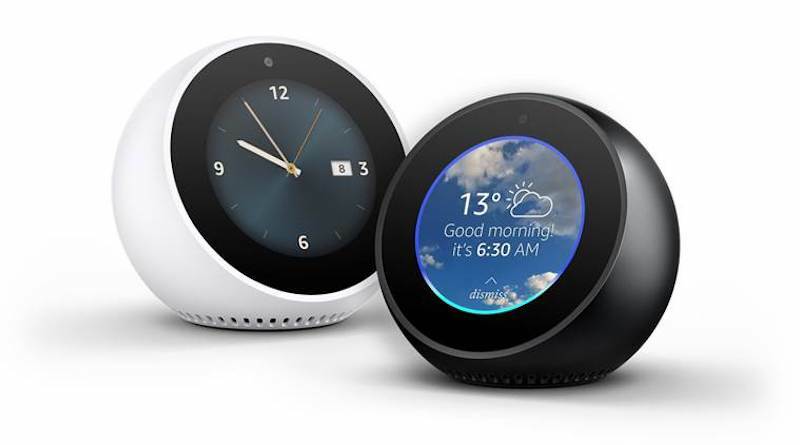 Amazon has optimized the Echo Spot’s performance for the Indian audience, the cricket fans will be able to watch the match briefings from ESPNCricinfo and more portals directly on the Echo Spot screen. There are other features like you can order food from Zomato or book cabs from Ola Cabs. Also, when the music is playing, you will be able to see the lyrics on the screen. Amazon has put an introductory price on the Amazon Echo Spot which is Rs. 10,499 and there will be an additional cashback for ICICI Debit and Credit card users of Rs. 1,499 which brings down the price of the device to Rs. 9,000. The introductory offer is only valid until May 31 so grab it before the offer ends.